As visitors to a dynamic destination, we often need a little help when it comes to first time explorations. Brussels, for example, is one of those cities that can be quite overwhelming to journey through alone. That being said, if you want to gain a proper introduction to this city that is dubbed as the ‘heart of Europe’, it’s always best to take a guided tour from the locals as a start. Now, you probably know how Belgium has become my 2nd home, and I’ve already been living here for almost 2 years; therefore, it’s safe to say that I have a good understanding of the city of Brussels. That’s why when Global Enterprises invited me to try their All-In Discovery Brussels Walking Tour, I was more than excited to take up their offer! For one thing, they claimed that their tour is the ultimate solution for travelers who are looking to discover Brussels for the first time. When I first heard that from them, I immediately wanted to see for myself if such can be true! I also wanted to see if it was something that I can eventually recommend, especially since there have been a number of you guys who have been asking me of the BEST tour to take in this metropolis. The verdict? After a 4-hour affair on this All-In Discovery Brussels Walking Tour, I was pleasantly surprised at how enjoyable and comprehensive it was! Global Enterprises definitely kept their promise: a full-on city discovery and a true-blue Belgian feast. …What more could you possibly ask for? 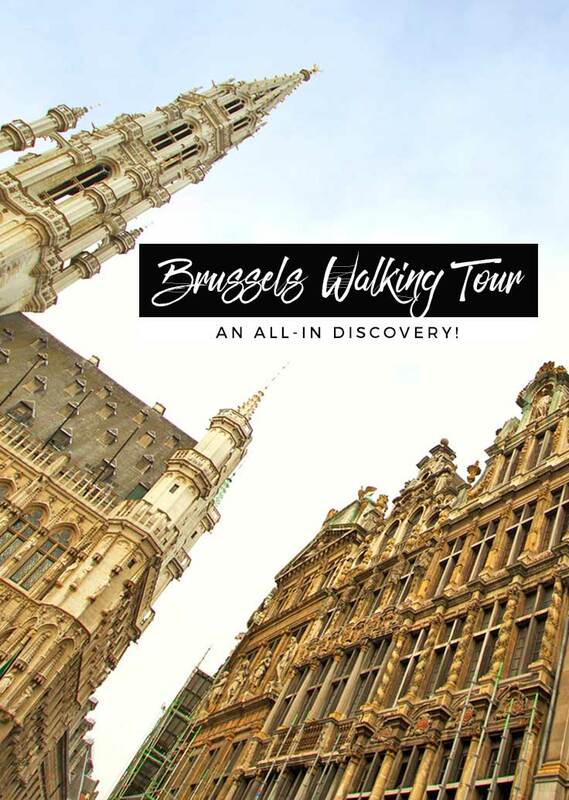 Plus, I can assure you by now that you won’t be missing ANY of the top must-dos with this Brussels walking tour! To add, our local tour guide, Avo, was extremely knowledgeable! He was a complete history buff because he taught us a lot of new and interesting things — and I thought I already knew everything there is to know about Brussels! But that doesn’t stop there because he was humorous and warm too. In fact, when it was over, I was a bit glum to say goodbye to him and the rest of the people that I was touring with because it was like bidding farewell to new close friends. To sum it up: I had a fantastic time! And because of that and more, I decided that I wouldn’t want to spoil the fun: I won’t be giving you a ‘blow-by-blow’ detailed account of what we did and what we discussed in this Brussels walking tour, because going by what I experienced, I think it’s better for you to be surprised. So what I would rather do here is give you a visual ‘peek’ to the experience as I share with you some of the photos that I took from the tour (+ a short video/vlog recap). Global Enterprises’ All-In Discovery Brussels Walking Tour did NOT disappoint. This is, without a doubt, your ultimate choice for discovering ‘everything Brussels’ if you’re new to the city! Disclaimer: This was a sponsored trip that was made possible by Global Enterprises Tours. But as always, all thoughts that are expressed in this article are fully my own. NOTE: I have also tried another one of their tours, namely a chocolate-centric one! Come read about it here. What do you think of this Brussels Walking Tour? Would you like to try this out? 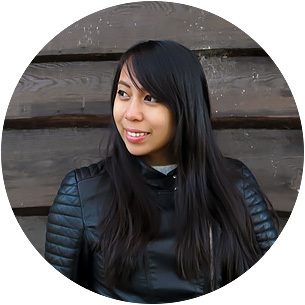 Aileen, what a great information about one of my favorite places that I visited in the past. In 2011 we booked Europe trip with a tour operator and it was an amazing trip, one of the city was Brussels. I came across your site from an article on Business Insider, and a great story about your journey. On my next visit to Europe which I would like to explore on my own than tour operators, I would consider taking guided tour of Brussels and 70€ lasts 3.5 hours is reasonable. Thanks again for great information. I absolutely love tours like this. I am a sponge for random knowledge - useful or not - and try to learn all I can about the places I visit. The city looks beautiful. It would be fun to photograph. You will love Brussels, Jamie :D I hope you can get the chance to travel here! Hi aileen. I'm curious. Do you resize your photos in post edit? I like how it looked like a banner type yet the image doesn't look stretched. Would be glad if you can share as well tour standard photo size.thanks! Wow! This looks like it was an incredible trip! I tend to do more of my own thing when I travel opposed to a guided tour, but there is something amazing about having a local tour guide to give you that insider information. I will definitely remember this if I ever make it to Brussels. Brussels had me at chocolates and beer! I'm a choco lover while my husband likes to try different beers from different countries. The first photo is breathtaking. I hope we can visit this part of Europe someday. Oh, then you guys will definitely LOVE a trip to Brussels :D I do hope you guys get to be here too! Now this looks like a place I would like to visit and explore! Especially with a place called the Chocopolis! That place looks like a dream come true -- or a little slice of heaven. And it was! ;) I hope you get to see Brussels sometime soon! What an amazing place to get to visit! I think a walking tour would be a ton of fun to do like this. The food you found looks amazing, I would love to try it all out. Oh you would absolutely love Belgium's chocolates for instance. They're sinfully good! Your photos are amazing. I'm like having a virtual tour in all these places. Food and the architecture of those building look so pleasant. These make Brussels more interesting. I am in love with the name Chocopolis. Maybe it's the fact that it is a chocolate factory or maybe it is that the name has a ring to it. Either way thanks for sharing these mouthwatering pictures and your adventures on the Discovery Brussels Walking Tour. Haha, or maybe you chanced upon their chocolates at some point that's why it's familiar and that you like it :P Anyhow, thanks! I hope you get to try them out in the future. I have never been to Brussels but it is on my bucket list! Chocopolis looks like an AMAZING and delicious place to visit! This walking tour is so nice because you can see a lot and get your exercise in. Thanks for sharing! Glad to have piqued your interest for it :D Brussels welcomes you!